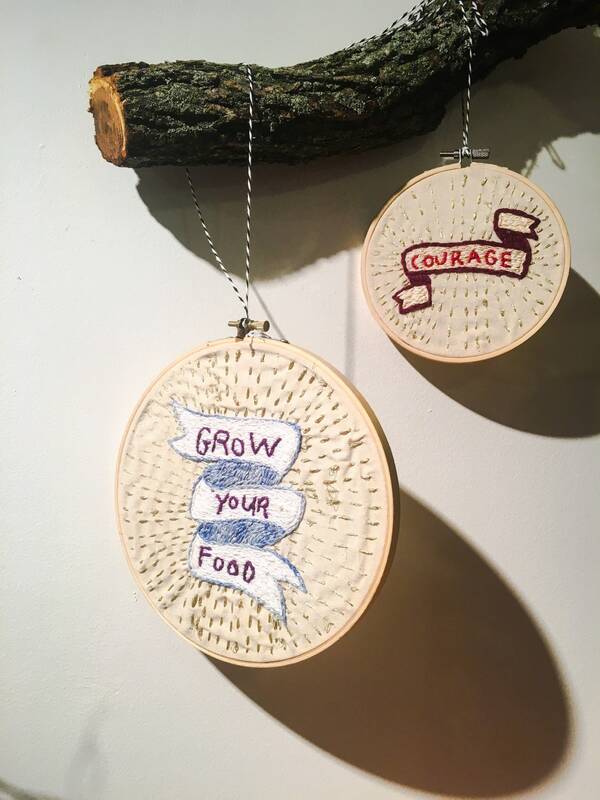 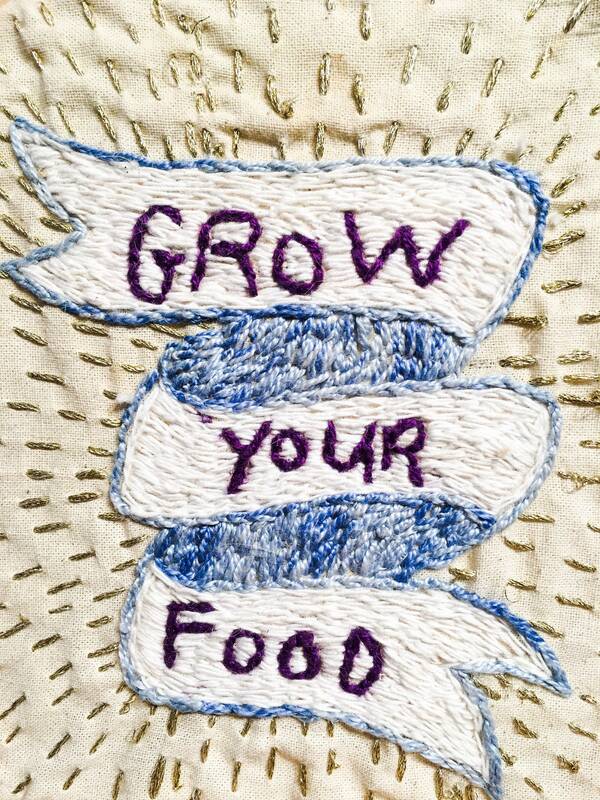 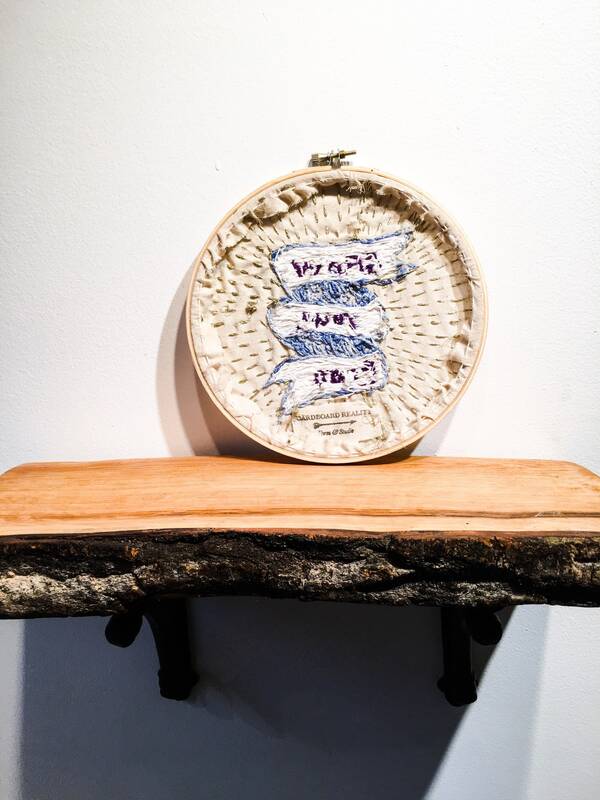 Hand stitched hoop art reminder featuring a "Grow Your Food" banner - hang it on your kitchen wall a badge of honour! 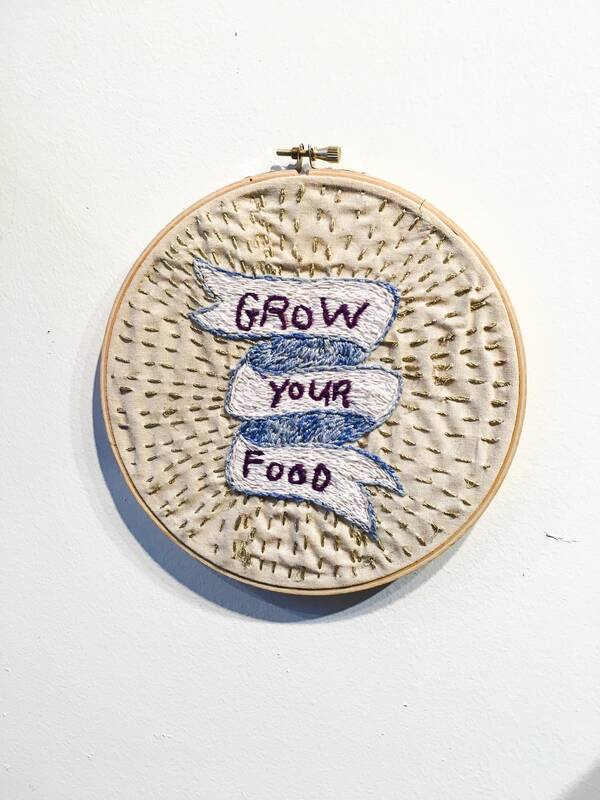 Embroidered with 100% cotton thread on muslin in a bamboo embroidery hoop. 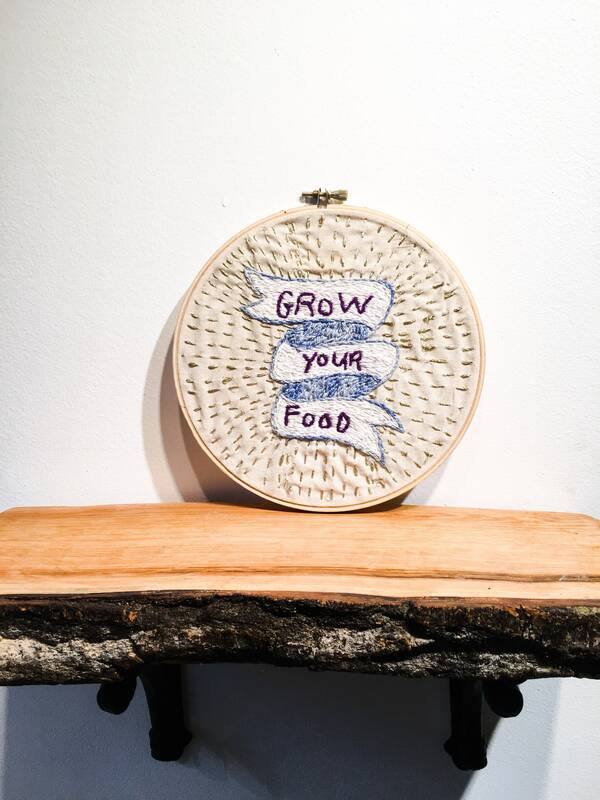 A perfect gift for the organic produce lover, or gardener in your life! 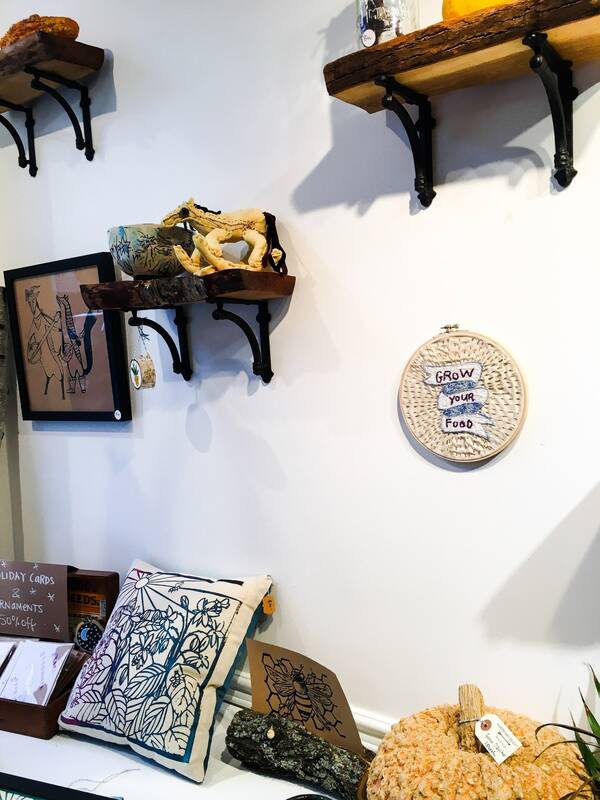 Each piece is one of a kind and colour palette can be customized by request. 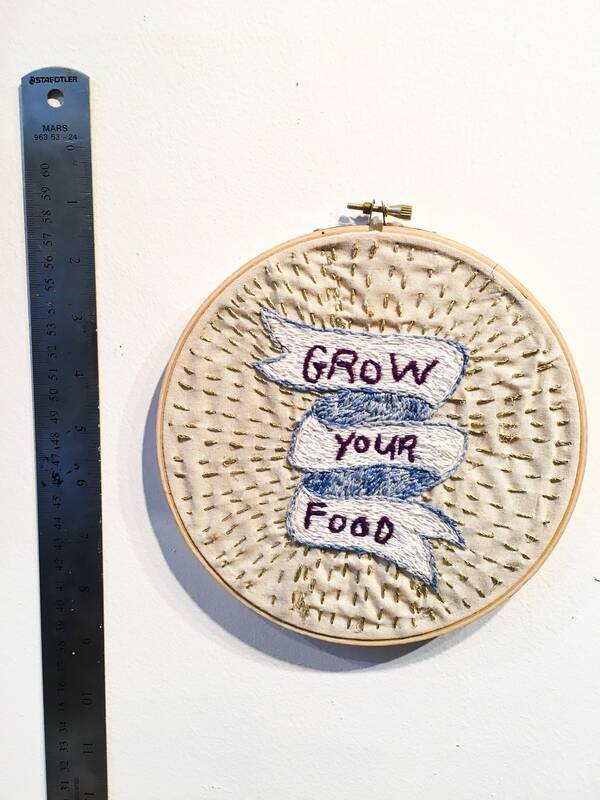 As each piece is hand made and unique please allow for some natural variance in the embroidery process from the item pictured.